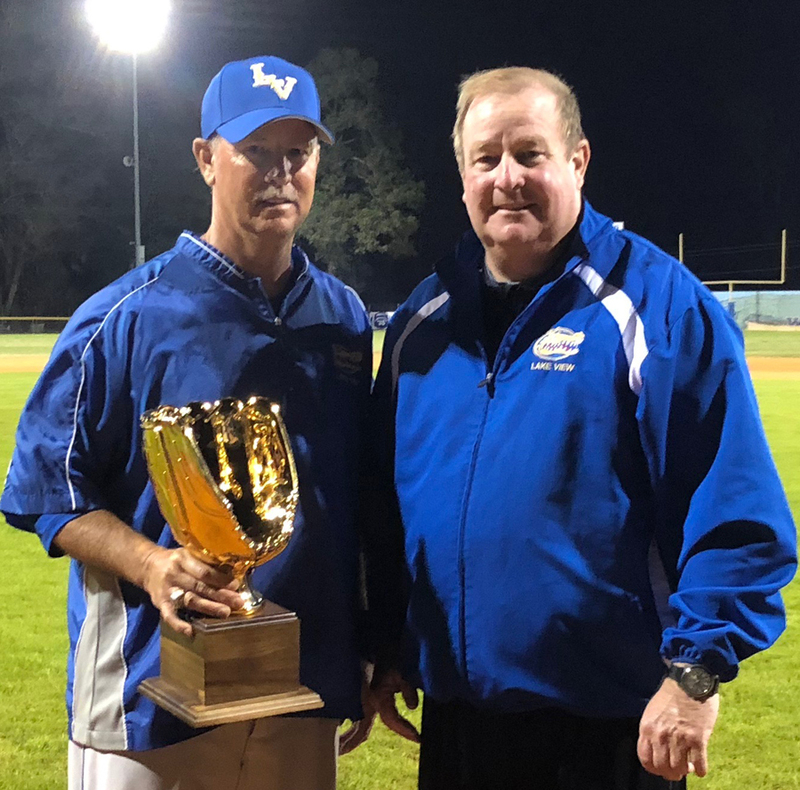 Lake View baseball head coach Kip Herlong earned his 500th career win against Pee Dee Academy on Saturday, February 24. Now in his twenty-seventh year as a South Carolina educator and his twenty-fifth year as head coach of Lake View’s baseball program, Herlong has earned a 500-135 record, winning twelve region championships, eleven Lower State Championships, and seven State Championships in 1995, 1997, 1998, 1999, 2000, 2001, and 2006. Coach Herlong was named as the S.C. Select Team Coach in 2012. Herlong was named High School Sports Report’s 1A Coach of the Year four years in a row from 1995-1998, as well as High School Sports Report’s Statewide Coach of the Year in 2001 and 2006. He has also served as the North-South assistant coach in 2000 and head coach in 2006 and was named the South Carolina Baseball Coaches Association’s Statewide Coach of the Year in 2001. In addition to baseball, Coach Herlong also serves as a coach of Lake View’s junior varsity football program and has served as the advisor of the Lake View High School Fellowship of Christian Athletes for seven years. Outside of school, he has acted as the youth director at the Marion Presbyterian Church and instructed numerous baseball camps in the Lake View and Marion communities. He is a twenty-five year member of the South Carolina Athletic Coaches Association. “Lake View High School has been fortunate to have an outstanding, dedicated educator and coach of a very successful baseball program in Kip Herlong,” said Lake View High School Principal Edison Arnette.